The nearest MRT-3 station to Chino Roces Avenue formerly Pasong Tamo in Makati City is Magallanes Station. If you're going to any buildings and establishments along Chino Roces Avenue or Pasong Tamo from MRT-3 Magallanes Station, all you need to do is to ride a jeepney with "PRC" sign. In map of Makati City below this post is the whole stretch of Chino Roces Ave from end to end. PRC in Makati City is Philippine Racing Club which is located next to the terminal of these jeepneys at the northern end of Chino Roces Avenue. From MRT-3 Magallanes Station south exit (south bound lane which is going to Taft), walk along EDSA past San Lorenzo Place Construction Site towards Chino Roces where a SM Save More is located at the opposite side. Exactly at that corner of Chino Roces and EDSA Service Road, these jeepneys stop to pick up passengers. From MRT-3 Magallanes Station north exit (north bound lane which is going to North Station), go inside Alphaland Southgate Mall and exit the mall to the front facing Chino Roces Avenue Extension. In front of Southgate Mall along Chino Roces Extension, these jeepneys stop to pick up passengers. They pass through a small tunnel across EDSA Magallanes Bridge on their way to PRC via Chino Roces aka Pasong Tamo. 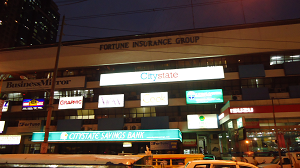 Below are Makati City buildings and offices located along Chino Roces Avenue. They are arranged in order of their locations with the first as the nearest to EDSA, e.g. 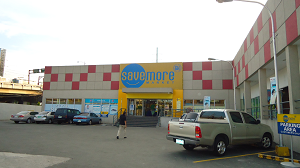 SM Save More, and the last as the farthest, e.g. ShopWise. 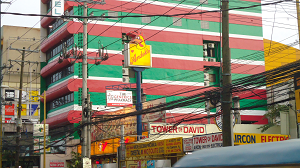 The buildings are given directions from the corner of EDSA to the next and so on. To make it easy for you to go to a building or establishment along Chino Roces or Pasong Tamo by jeepney, use intersections as your guide. 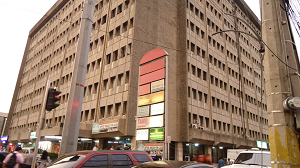 For example, Miracle Building 1 is listed here under 'Javier Street to Dela Rosa Street'. That means Miracle Building 1 is at the corner of Chino Roces and Javier Reyes. Blu Racket Badminton Place is next to Miracle Building I, next to it is Matrinco and so on. Knowing what's the nearest intersection to your destination will help you to 'not miss' it. IMPORTANT: You must turn your phone to landscape view to see photos of buildings opposite named buildings below. 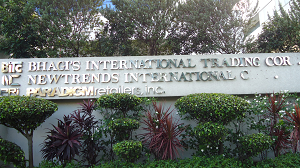 BHAGI'S iNT'L TRADING CORP, NEWTRENDS INT'L, PARADIGM retailers, Inc.
Philippine Industrial Engineering Company, Inc. There are open spaces along Chino Roces Avenue. There are also Abandoned buildings. Next to Under Construction San Lorenzo Place is a deserted building. Next to this empty structure is the Tokyo Health Link. 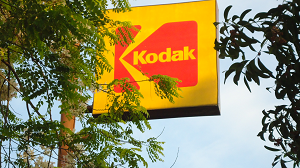 A big gap between Marvin Plaza and American Wire & Cables Co., Inc. is an open sprawling land. You need to be aware of these empty spaces to avoid getting confused when you see nothing is next to a building mentioned here. If you encounter such areas, try to look at the next building to find out if it's the building you're going to. American Wire & Cables Co., Inc. In this Makati City map green line is the entire stretch of Chino Roces aka Pasong Tamo from north to south. Very informative blog. Can you give directions on the route from Fort Bonifacio to Chino Roces that passes under the Magallanes flyover? Thanks. @ ces. Hello, ces. Are you driving or commuting? can you give me direction on the route from baclaran to mjl building don chino roces ave. bagtikan pasong tamo. @ jhoy era. Sakay po bus na "Ayala Leveriza", baba ng Chino Roces at sakay ng "PRC" jeepney. Sabihin po sa driver na ibaba ng Bagtikan St.
@ gabrielle Marie Consuelo Binaday. Yes po dadaan po sa Inquirer ang PRC na jeep, left side po ng Pasong Tamo. Ibaba po kyo ng driver, sabihin nyo lang. Good day po.. I need help po going to Mall of kitchens sa may kamagong st. corner Lawaan st. 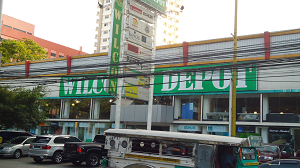 Nearest landmark nya daw is Pasong Tamo shopwise. Kung manggagaling po ako ng Quezon City, an-ano po ba sasakyan at saan bababa?? Thank you po. @ Randy Epa. Get off the train or bus at Magallanes Station. Walk to the corner of Chino Roces aka Pasong Tamo. Ride a jeepney with "PRC" sign. Drop off at Pasong Tamo cor Kamagong (ask driver). Cross Pasong Tamo and walk along Kamagong past St Paul Rd. Next street is Lawaan. Hello po, ask lang po ako on how to commute to dela rosa (solaris one bldg) from kingswood makati (chino roces). @ Mark Domingo. Lakad po sa Buendia aka Gil Puyat, sakay jeep na "Ayala Washington", baba ng Herrera St, tawid po at pasok ng Herrera, lakad hanggang kanto ng Dela Rosa, kaliwa po ng Dela Rosa, lakad hanggang umabot sa Solaris One. Kung galing ako ng imus cavite papuntang ANSA 2Building 1078 don chino? 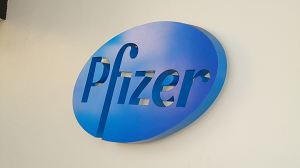 Ano pinaka malapit na landmark sa building na ito? @ Denville Gatal. Bus o jeepney po to South West Integrated o Baclaran, city bus po with "Ayala Leveriza" sign. 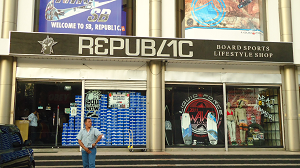 Baba po Chino Roces Ave. Sakay po jeep na "PRC" ang signboard. Sabihin sa driver ibaba sa Montojo St. Nasa kabilang kanto po ng Montojo at Chino Roces ang ANSA II. @ Sab Gomez. Ah lapit lang po nyan. Ayan po nakasulat, pagitan lang ng EDSA at Don Bosco St. Pkisunod po ang pagkakasunod sunod ng mga bldg na nakasulat, pero may mga bago po ngayon na wala jan. Pkitingin n lng po, magkakasunod sunod naman e.
Hi! This is very helpful, much appreciated! What is the most efficient way to get to Net Lima Building in Bonifacio Global City coming from Buendia Avenue (perhaps from Shell Maya)? I heard there are aircon jeeps from Buendia Avenue. 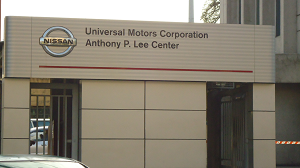 Where do the aircon jeeps get off, for me to efficiently get to Net Lima Building? @ Abi Paco. Hete's the convenient way. Ride a jeepney to EDSA which you can take at the corner of Ayala Ave and Buendia, just go to loading area near it. The route of jeepney written on its side is "Ayala Washington" and in the front is "Ayala." In EDSA, go to Shell Station at the corner of EDSA and McKinlyey (opposite Ayala). Ride BGC Bus West Route. You must choose "Lower West" not "Upper." Get off the bus at The Fort Bus Stop, you will immediately see Net Lima across 5th St. Hope this direction helps you. @ luffy piece. To all readers: If you need help in direction, may i please request to give the complete address of your destination so that I can give you accurate direction. Please help me in helping you. If you don't give me the name of the building, there's no way I can guide you. good morning!i need help po pa'no makapunta ng DHL Express kayamanan-c, chino roces, ano po ang sasakyan na jeep galing mrt magallanes station?... ty po. Sir anong jeep sasakyan from Edsa Magallanes MRT station. Going to The Beacon International School Foundation, Inc Chino roces Ext. yung PRC ba na jeep ? @ Rana Gail Lim. You must ride "DPC Extension ECO Plaza Mantrade" and then alight at the end of its route in Chino Roces Ext. 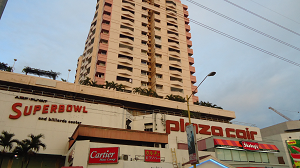 Walk further along Chino Roces Ext until you get to 2332 PCPD Building where your destination is located. 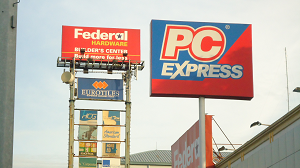 It is already part of Western Bicutan, Taguig. For directions on how to get to Chino Roces Ext from MRT Magallanes, please go to DPC Extension ECO Plaza Mantrade Jeepney Route. Good day. This site has been a tremendous help to me as a first time traveler to Manila. Next week, I'm heading to DHL House at Chino Roces Extension (Makati). I already know how to get there through this post. May I know if I can get to NAIA 3 from there and how? If not, can you give me an alternative route. I will be commuting. Thank you very much. 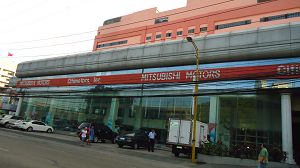 hi, paano po ang jeepney ride papuntang DMCI Annex Bldg 2278 Don Chino Roces Ave Pasong tamo exit from edsa taft? @ Justine Nycole Abad. 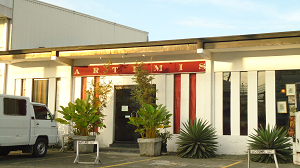 It is located on the other part of Chino Roces. 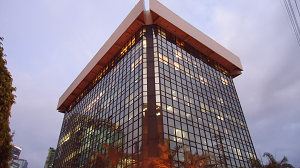 DMCI Annex is near to DMCI Plaza (Dacon Bldg.) Please read separate post which provides directions to all buildings located on that part of Chino Roces. Go to DPC Extension ECO Plaza Mantrade Jeepney Route. Hello po. How do i commute from LRT Gil Puyat Station to DHL in Chino Roxas Avenue? @ lelay turqueza. In going to DCL House from Cubao, take MRT train to Magallanes, ride a jeepney with "PRC" sign and get off the jeepney at Pablo Ocampo. Walk along Pablo Ocampo and turn right onto next perpendicular road, then left on next perpendicular road. You will see the building on the right side of that street. Hi! Ill be coming from pasig Kapitolyo headed to EcoPlaza Building in Chino roces Extension. What PUVs should I take? thanks! Also, if by car, are there any flat rate parking/ cheap parking spaces near the Eco plaza building. Hope you could help. thank you!!! another question, how about the commute from mckinley hill to Ecoplaza? would really appreciate your help! With regards to affordable parking, sorry no idea. @ Pasige. You can get to Eco Plaza from Mckinley by either jeepney or BGC bus bound for EDSA-Ayala then take MRT to Magallanes or any southbound city bus. 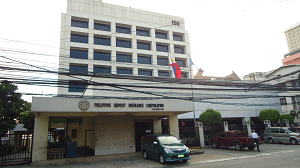 question lang po.. ano po sasakyan from Export bank to SM dasmarinas cavite? @ Kazuhiko Sunzhu. "Baclaran" bus to Coastal Mall, then "Dasmarinas." where can i find yung BACLARAN BUS? dumadaan po ba sa harap ng export bank yun? @ Kazuhiko Sunzhu. Westbound of Gil Puyat. Bus sign: "Baclaran LRT Leveriza." @ kaziie eil. From Southwest Integrated Terminal, take a city bus via EDSA and alight at Magallanes, then go to jeepney loading area along Chino Roces to get to your destination. Paano po makapuntang HR & F International (4006 Yague St. Pasong Tamo, Makati) kapag galing ng Dela Rosa station? Thank you po. @ ooohhcarol. Yague is the 3rd st past Shopwise, you wont miss it when you see ShopWise. @ Maridel Manalo. City bus via EDSA bound for north of Metro Manila. 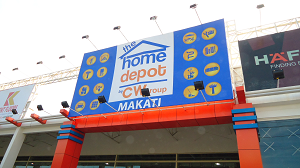 Alight at Magallanes, walk back to Chino Roces, then follow directions given in this article. hello! ask ko lang po kung paano pumunta sa Marvin Plaza from Magallanes station? What jeep/transpo to ride from Magallanes Station to Whitespace Manila? @ Queena Mae. I have already answered you in the other article. @ Jhoy Ragundiaz. Marvin Plaza is written on this commuters' guide. Kindly read the direction, thanks. paano po magcommute papuntang LRT BUENDIA-DLTB BUS STATION from PIFCO BLDG PASONG TAMO, MAKATI? @ MERRYROS GALANO. Walk or ride jeepney back to MRT Magallanes. Train or bus to Taft Ave. Jeepney to Buendia. @ amie. BGC bus or jeepney to Ayala. "Washington" jeepney to Chino Roces, then follow directions given here. Sir anu po best na sakayan going to chino roces (Alegra Bldg.) from pasig rosario. (commuters choices iwas trapik at malayong lakad)..thanks and advance. @ Herbert Reyes. My reply is late because you ignored my note above the comment box. Jeepney to EDSA/Shaw + MRT to Magallanes + jeepney to PRC, alight at Alegra Bldg. Hi! Dadaan po ba yung jeep sa Whitespace? Salamat! ano po direction from pasay victory terminal to NYS bldg. 1156 chino roces ave. san antonio village makati city? tnx po. @ Louie. Cross EDSA, take bus, alight at Magallanes MRT Station. Walk back to Chino Roces, follow given direction. Sir, may jeep or bus po ba along Chino Roces Ave. na papunta sa Fort Bonifacio Gate 3? I'm from the province. Instead of going the Guadalupe route, baka sakaling makarating ako sa Fort Bonifacio Gate 3 via Chino Roces Ave.
@ AJ Luna. Jeep po meron, abang po kyo sa kabila side ng Chino Roces opposite entrance ng Southgate Mall, Ang sign ay may nakasulat na Gate 3. Pgdating nyo po dun, makikita nyo na ang Gate 3 Jeepney Terminal ng mga jeepney na papunta Guadalupe, sa harap o gilid ng Gate 3 Plaza mall. Hi sir, follow-up question lang po. Pag po galing ako sa Buendia-Chino Roces intersection, may jeep na po ba na diretso sa Gate 3? @ AJ Luna. Bihira po, 2 rides nlang po sila. Sakay muna "Mantrade" jeepney, then, sakay npo sila ng "Gate 3." @Lag alag and @smart_buyer salamat po sa instructions. Follow-up question po ulit, gaano po kaya katagal ang byahe from Buendia-Chino Roces intersection to Gate 3, given na 2 sakay ng jeep ang gagawin ko? Aabutin po kaya ng 1 oras? @ AJ Luna. Walang anuman, Depende sa traffic, pero normally mabilis naman, matagal na ang 30 minutes. Hi, pano ba ako mkakarating sa la fuerza plaza if im from estrella makati city? Ty! Bus to Magallanes then follow my direction written on this article. How to get to BDO Bagtikan from LRT Gil Puyat? Take jeepney with PRC sign and get off at BDO Bagtikan. Pano pumuntang Lou-bel plaza... Im going to Global staff recruitment research inc. Thank you.. Very helpfull! Hm ask ko lang po how about going back to mrt magallanes if I wud come from dominga building in dela rosa street? May mga jeep na ba dun with sign na mrt? Thank you! Hi po. 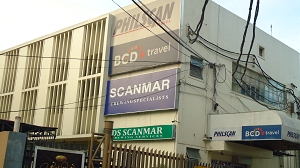 How to go to Viamar Building 7492 Santillan St. Brgy Pio Del Pilar St. Pasong Tamo Makati. Back of Goldilocks Pasong Tamo. I'm driving po btw. Thanks. You haven't mentioned your point of origin. 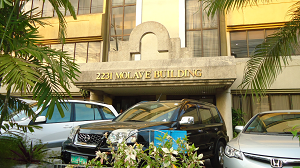 Gusto ko po malaman kung paano pumunta sa Molave Building galing Buendia (Buendia MRT yung sa may gas station) or Ayala Ave. (sa may ACCM bldg beside mcdo)? .. alam ko yun route na MRT going to Magallanes kaso naghahanap ako ibang route para di ako ma hassle sa MRT.. sasakay po ako fx from Cainta going to Ayala.. Pwede ako bumaba either Buendia or Ayala Ave.
From Buendia jeepney to Paong Tamo then another jeepney to Mantrade, ask driver to drop you there. Hi. From baclaran to don bosco st. Ano po sasakyan ko? Bus to Magallanes then follow direction given here. Take MRT to Magallanes, jeep to GATE-3 and get off at G & A bldg. Cubao Bus to Magallanes and follow direction given in this article. Hi, paano po pumunta sa address na ito: Avega Bros. 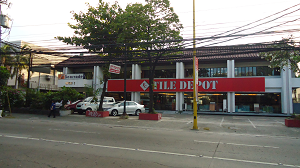 Integrated Shipping Corporation, 8070 Tanguile Street, San Antonio Village, Makati, 1203 Metro Manila. Manggagaling po ako ng Imus, Cavite. Maraming salamat! Ride to South West Terminal. Bus to Magallanes. Jeepney to PRC. Get off at Kamagong. Cross Chino Roces. Walk along Kamagong. The 4th street at left is Tanguile. Thanks. Hello ask ko lng po pano po magcommute sa address na yan from sm fairview po ako..thank you. Easy. Bus with "Ayala LRT" sign. Get off at the super tall skyscraper Exportbank at the corner of Chino Roces & Buendia. It's on the left side. Ahhh so isang sakay lang pla ako... thank you po. Yes only one ride. You are welcome. hi! 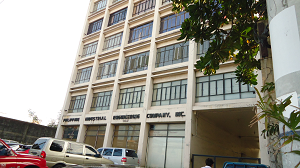 paano pupunta ng La Fuerza Bldg. kung galing sa Gate 3 sa may bicutan? may jeep po kaya dun (dulo ng chino roces ave. sa gate 3)? sana po masagot nyo, thank you! Go to the corner of Chino Roces and follow directions given in another post. 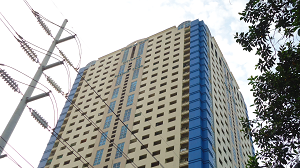 Search Allegro Bldg in our search box. Jeepney with "PRC" or "MRT" sign, get off at Chino Roces. Search for "allegro bldg" in the search box, follow given direction. Hi! Can I ride the Ayala Leveriza bus from Ayala Avenue to Bagtikan St.? 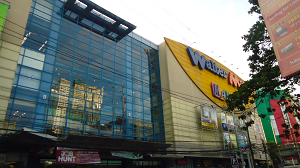 Hi may I know how to commute to Waltermart Makati from Market Market? Thanks po. Ayala bound jeepney or BGC bus. 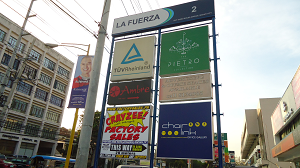 Cross EDSA via MRT, head to terminal of jeepney opposite Dusit hotel, take a jeepney to Libertad, get off at Walter Mart. 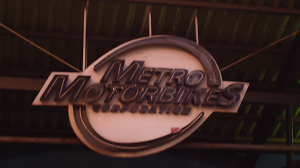 how to get metrobank card (ayala avenue) po kung galing po kami ng ayala mrt? Or if galing po kaming evangelista riding a jeep lang po or bus? Take the jeepney "Washington-Ayala" at back of Shell Station. Ask driver to drop you off at unloading area near Metrobank. "Baclaran" jeepney. Drop off at EDSA. Go to MRT, train to Magallanes. 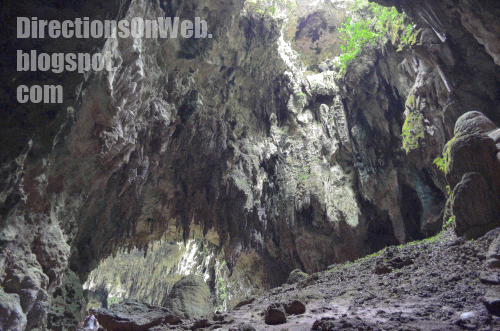 Follow direction written in going to this place. Hi, paano po pumunta ng Gen Gil Puyat Ave. Makati City. Galing po ako ng Rosario Pasig. Thank you! Jeepney to MRT Shaw, train to Buendia Station, that's Gil Puyat Ave.
Hello po. How can I get to Cityland Tower, Pasong Tamo from LRT Gil Puyat, and vice versa? Thank you po! I will be riding a grab car tom from makati city hall to the oriental place... ask ko lang if i would take a jeepney going back san po ako pwede sumakay and which jeepney?? Jeepney to PRC, get off at Kalayaan, take jeepney to Guadalupe, get off at Makati City Hall. Hi ask lang po. If manggaling ako ng guadamupe makati city. Ano po ang pwedeng sakyan going to Avant condo in 26th street BGC? thanks! 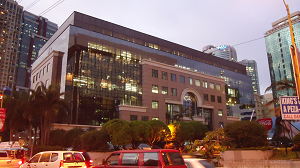 Read the direction at "Commute Guide to Buildings in BGC". Use our search box, above, sidebar. Thanks.